This Essex Road restaurant and bar takes part of its name from one of history's great civilisations. And like the Incas, El Inca Plebeyo takes on quite a bit of Latin America, though there seems to be a slight focus on Ecuador. Dishes range from colourful salads and ceviche to pulled pork sausages with aji panca sauce, 18-hour slow-roast pork belly with sweet potato puree and tamarind sauce, and papa seca (sun-dried potatoes) with braised lamb. Amazing, friendly and authentic atmosphere with delicious food and drinks. Great place, authentic and tasty dishes with a modern twist. Amazing amazing fresh authentic food (& also cocktails). Family run place with a very talented chef! Vibrant and engaging restaurant with a modern twist. Friendly atmosphere with authentic food - Chef Jorge knows his stuff! I recently celebrated my birthday with friends and family at El Inca Plebeyo. The food so fresh and amazing.To top it up the Chef also sung happy birthday to me.After dinner we danced to some Salsa music in the resturant and it was such an amazing birthday. Tasty dishes served up with a friendly homely service. Going again. Ditto Mady A! Couldnt say more, the staff are super friendly, the food exquisite but at affordable prices and the atmosphere perfect to spend the evening talking, eating drinking all night, as we did rolling home after 1am on a wednesday!! My new go-to spot! Such a nice place to eat and have drinks with friends, real authentic Ecuadorian vibe! Very tasty Ecuadorian food. Friendly service. I discovered this place thanks to TasteCard and their dishes were just amazing! Well done! The food is amazing you must try the quinoa dessert and the scallops!!! Very good restaurant! food is amazing! My favourite place!! Excellent food and service, delicious ceviche and amazing Sunday roast in Ecuadorian style! Great authentic and family place. Inventive and delicious twist on Ecuadorian food. Amazing top class food, great service and friendly atmosphere. As a latin american and Ecuadorian in London, I feel proud to have my country's gastronomy represented by the traditional, yet innovative and diverse menu by Ecuadorian Head Chef Jorge Pacheco! Once inside, it feels like travelling through time and space with its ambience, decor and friendliness. I fe that El Inca does Ecuador justice! El mejor lugar de comida ecuatoriana, sin duda en el Inca Plebeyo, me encanta el ceviche, para las próximas vacaciones les visitaré..
the best dinner experience in this title ecuadorian restaurante , i will definitely come back. I really like this Restaurant because Jorge Pacheco the Head Chef and Owner of this Amazing Restaurant has created a Menu to die for with fresh ingredients and a lot of creativity. The atmosphere and the service matching the quality of this Beautiful Restaurant. The quinoa pudding is a must! The decor and ambience take you into the Andes, and the smoothies are highly recommended. I love this restaurant because it's like having a little piece of Ecuador right here in London. 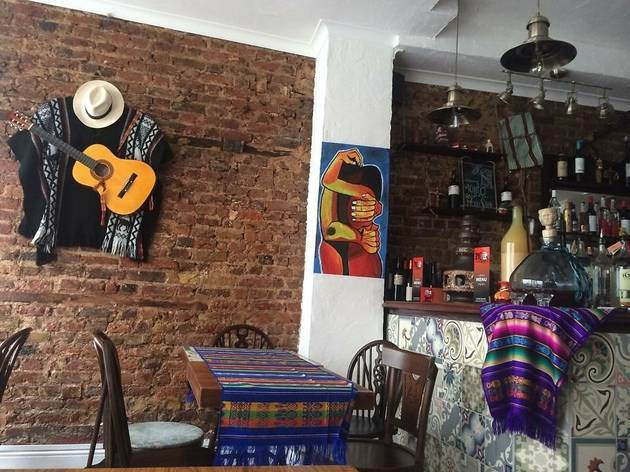 Who doesn't want to have a taste of South America to brighten up the sometimes grey London days? The dishes are lovingly cooked by a very warm and dedicated chef supported by his friendly staff! Being there feels like having a meal with friends - very chilled and relaxed! Just like latinos! A truly amazing restaurant. Walking through the door is like walking into a mini Ecuador. The food is authentic and delicious. If you haven't already, I definitely recommend a visit! 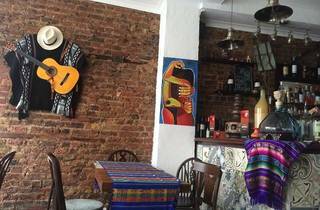 El Inca plebeyo is one of my favourites restaurants in London. Ceviche Ecuatoriano is the best of the best . I recommend to anyone who loves ceviche. The food from El Inca Plebeyo was beyond my expectations, I will bring more friends here, the environment was cosy and the artwork was very inspiring. I would highly recommend this restaurant to anyone who would like to try Ecuadorean & Latin American food.